There are currently six long-term volunteer missionaries processed through the North American Division Office of Volunteer Ministries on the island of Saipan in the Northern Mariana Islands, near Guam. 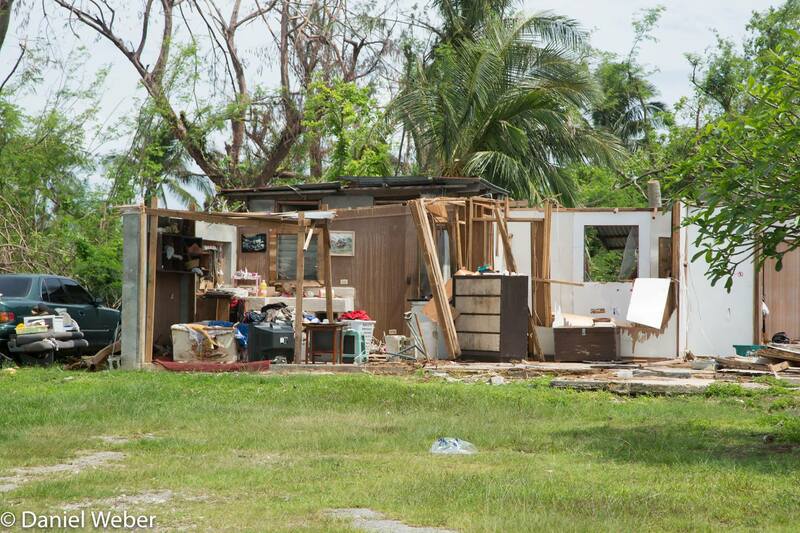 Three of those volunteer missionaries were on the island when Super Typhoon Soudelor (the largest storm this year so far) hit Saipan on August 2. Melanie Stroud shares about her experience and life after the storm on the island and at Saipan Seventh-day Adventist School, where she teaches. For more information and to help, visit the North American Division Adventist Community Services website or the school website mentioned below. 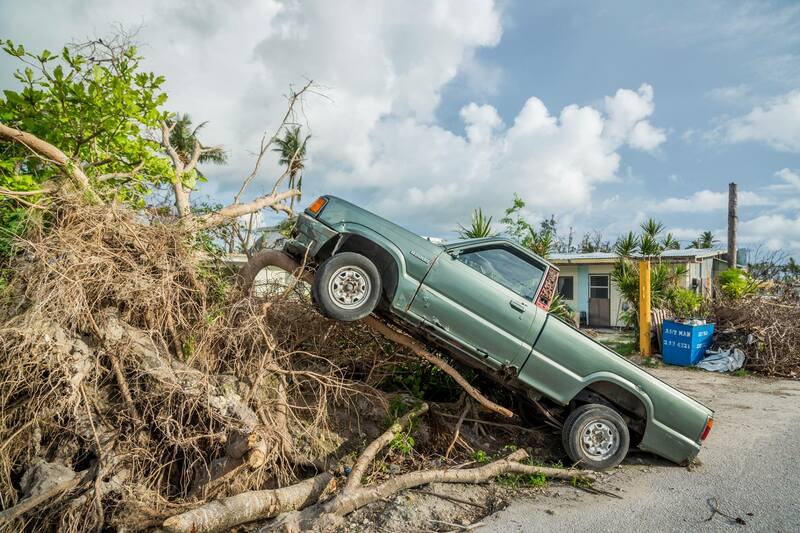 On the night of August 2-3, a condition 1 typhoon (class 5 hurricane) hit the island of Saipan, an island approximately 120 miles north of Guam. None of the island’s residents expected typhoon Soudelor to be as devastating as it was. With sustained wind speeds of 180 mph and gusts up to 220 mph, the typhoon made a direct hit to the island. Hundreds of power poles were toppled as well as many trees around the island. An estimated 150 homes were destroyed and others suffered heavy damage. During the storm, I didn’t really feel afraid. I live in a four story concrete building and felt secure. I had just recently switched apartments to move into a corner unit, so I thought that the rain coming in around the windows might be somewhat normal for that unit. After mopping up the flooded house between 11 P.M. and midnight, I went back to bed and slept the remainder of the night. Only when I looked out in the morning (after mopping up from a second flooding) did I realize how powerful the storm was. Where I used to be able to barely see a sliver of ocean, I now had a full ocean view. I saw homes and buildings I never knew were there before. A few staff members who live in the same building said that they felt the building tremble in the midst of the storm. Other staff members live in another section of the island in homes that aren’t quite as sturdy. Although they had an intense and somewhat frightening night, they all came through the storm safely. There were trees down all around their homes, but thankfully none of the trees touched the houses or cars. Thankfully no lives were lost during the storm and most residents try to remain hopeful. Still, 24 days after the storm, many are without power and water. Some, like myself, are lucky to have power provided by generators for at least a few hours each day. The utilities company is working around the clock from reports I’ve heard to restore water and power as quickly as possible. The school where I am serving, Saipan SDA School, was blessed as well to have not sustained heavy damage to the building itself. The main damage at the school was to the grounds. Most of our larger trees were lost and the Child Development Center playground was destroyed by some of the fallen trees. We are very thankful to the many volunteers who came out to help cut and clear the debris from the main yard so that we could provide a safe area for students to play. Some of the current needs for the school and staff are modest, but still very much needed: fans – battery powered or USB powered, and cash donations to help purchase fuel for the generators. The fuel cost has amazingly dropped for the moment to $4.00 per gallon, but that may not last very long. We are running two generators at the school, and one more at the school housing which together use approximately 30 gallons of fuel each day. As you can calculate, the cost adds up very quickly: $120 per day. Without knowing how much longer before power is restored, we could be talking about thousands of dollars in fuel costs alone, not to mention the nearly $8,000 to purchase and ship all of the equipment. For a small school such as ours, this is a substantial burden. Most of all we covet your prayers. Prayers for a blessed school year. Prayers for the quick restoration of power and water. Prayers for God’s work to be blessed on the island of Saipan. If anyone would like to help, they can contact the school through our website: www.saipansdaschool.com. UPDATE OCTOBER 1, 2015: In the last few weeks, the school and volunteer missionary apartments received power to their buildings. Clean-up and recovery efforts continue at the school and across the island of Saipan, keeping life extra busy for volunteer teachers. Your prayers are still greatly appreciated. *Melanie Stroud is serving as a Kindergarten teacher at Saipan SDA School in Saipan, Northern Mariana Islands, through the Office of Volunteer Ministries and Adventist Volunteer Service. ← Urgent Need in Micronesia and Marshall Islands!